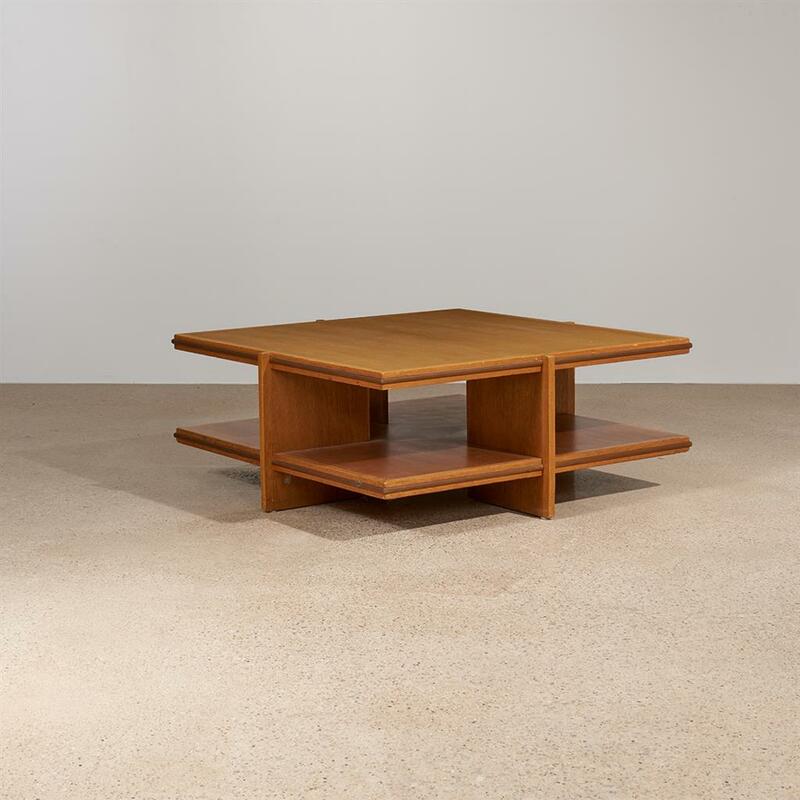 Frank Lloyd Wright probably designed this coffee table for the Usonian House Exhibit: 60 Years of Living Architecture, held from October 9 to November 15, 1953 in New York City on the grounds that would eventually become the Guggenheim Museum. The exhibition included a fully furnished, 1,700 square foot 'Usonian House' created to exemplify the potential for the American landscape to inspire local architectural conventions free from past influence. Like this coffee table, many of the tables featured in the Usonian House had a distinctive copper band along their edges.